There are few ideas and words in the popular zeitgeist more mercurial than “witch.” Whether coming from the world’s mythologies, religions, folk tales, the realms of fiction, or from those who embrace it as a real-world religious identity, witch can mean myriad things. There are probably few archetypes more simultaneously romanticized and demonized. 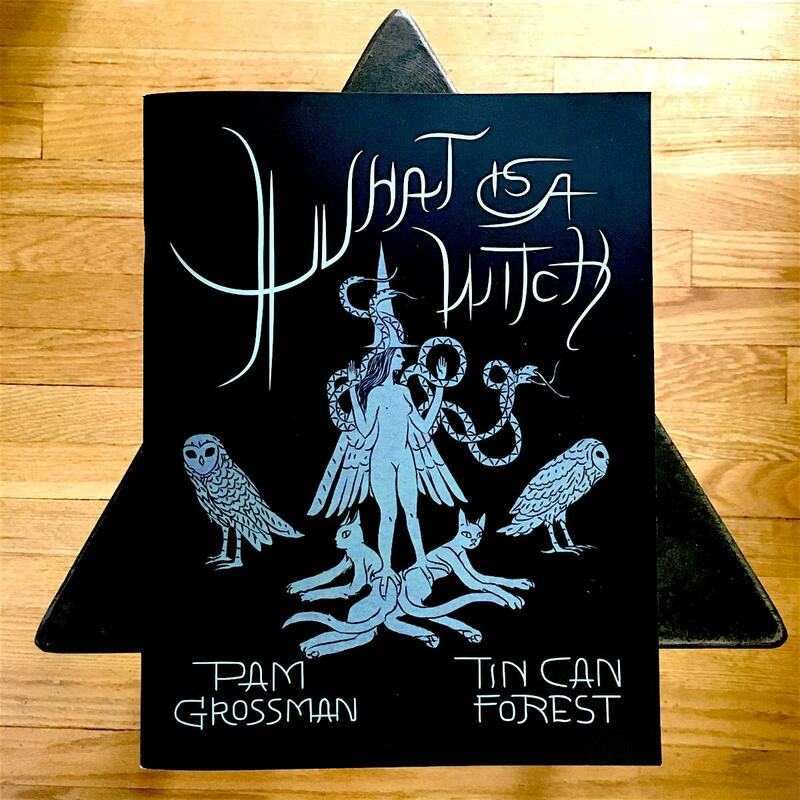 This dizzying dream of character and identity is uniquely and creatively expressed in What is a Witch, a sort of comic book grimoire on the subject by witch and author Pamela Grossman and Canadian’s comic-art occultists, Tin Can Forest. In just under 40 pages of lush, saturated black art and text, What is a Witch serves as something of a witch’s manifesto. The dreamy, free-form text, interwoven amongst equally dreamy art, attempts to cast a spell over the reader, to bring this complex character more vividly to life. In doing so, it doesn’t really answer the question (note that it’s not posed as one) of what a witch is, but instead, plays with her mercurial identity, dipping in and out of fictional and real-world conceptions and how witches are experienced and self-identified. The art and production are really lovely and work to deepen the spell that the book is attempting to cast. The effect of Grossman’s free, often trance-like prose reminded me somewhat of Jack Parson’s famous “We are the Witchcraft” manifesto, another attempt at a poetic conjuring on the identity of the witch. What is a Witch feels like a captured dream to me, one in which the author and artists dutifully recorded what they experienced and shared the results with us. And those results definitely feel touched by magic.